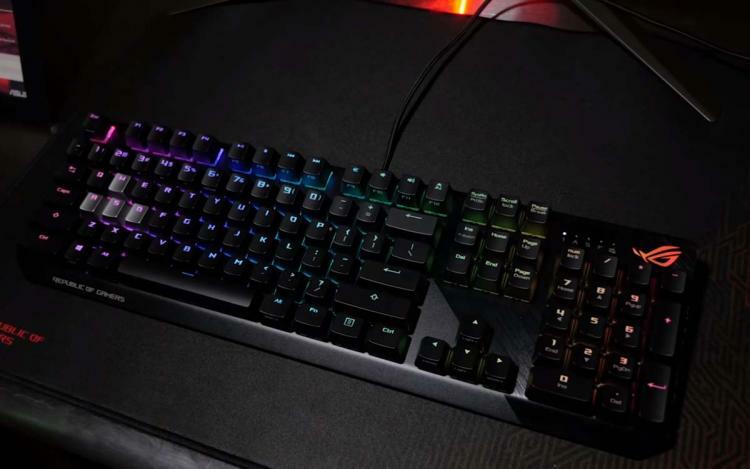 ASUS introduces the ROG Strix Scope mechanical gaming keyboard featuring CHERRY MX switches. The ASUS ROG Strix Scope is specially designed for FPS gaming with its Quick-Toggle Shortcut and Xccurate Design for greater FPS precision and accuracy key presses. The ROG Strix Scope also comes with the Stealth Key that hides all apps and mute audio for instant privacy, a convenient and instant way to pause any gaming session to tend to other activities like making a phone call. The ROG Strix Scope features the tested and proven durability of CHERRY MX Switches plus a sturdy aluminium top plate creating a durable FPS gaming keyboard. The ROG Strix Scope also comes with RGB lighting powered by the ASUS Aura RGB LED technology and supports ASUS Aura Sync. Watch the introduction video below created by CHERRY. The ROG Strix Scope was first introduced at CES 2019 as the ROG Strix CTRL. Watch the CES 2019 introduction video below. Built for FPS games with its extra-wide form factor and ergonomic Xccurate Ctrl keys for greater FPS precision and less missed keypresses. Stealth Key: tap to hide all apps and mute audio for instant privacy; tap again to play on. Durable Cherry MX switches: German-made, micro-switched actuators for precision input with tactile feedback. To be offered in CHERRY MX Red, Brown, Blue, Black, Silent Red and Speed Silver switches. Durable construction: Aluminium top plate with striking slash aesthetic for everyday resilience with a dash of style. Macros, management, and memory: Quickly map command sequences to selected keys, adjust settings with enhanced Armoury II software, and store profiles using onboard memory. No information on pricing and availability as of this writing. Learn more about the ASUS ROG Strix Scope here.